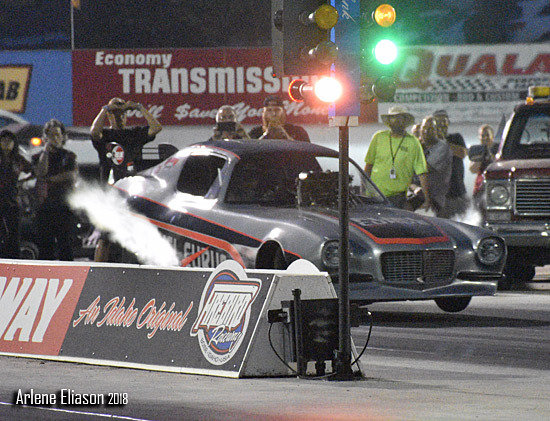 Due to the oppressive heat and humidity FC Q1 was not covered. 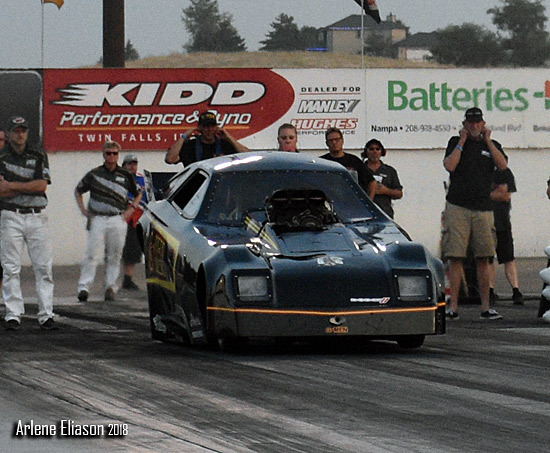 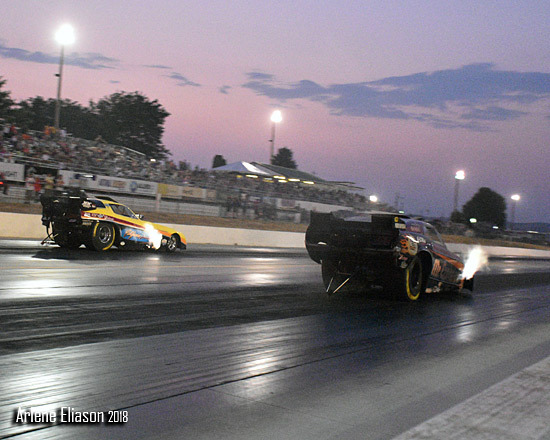 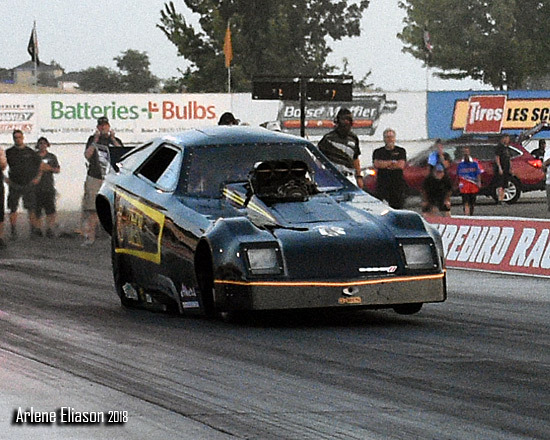 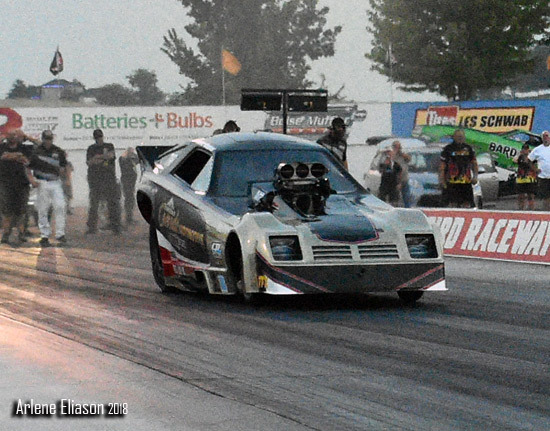 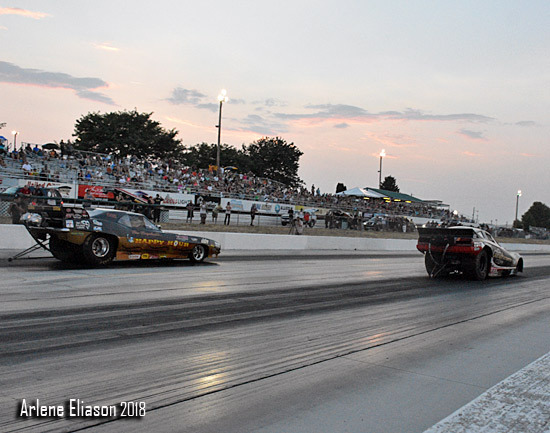 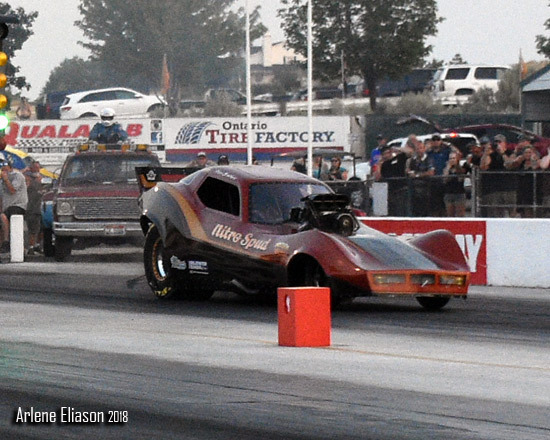 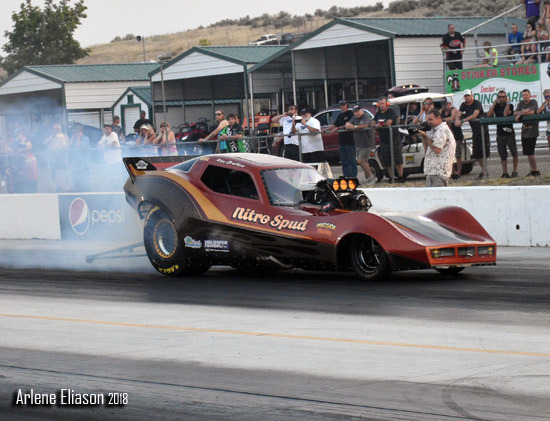 Leading off FC Q2 was Wally Giavia in his G-MAN '79 Omni and John Rice in the "Nitro Spud" '79 Corvette. 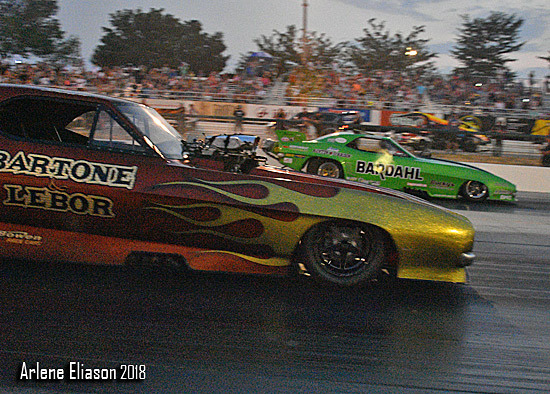 Both cars were done early. 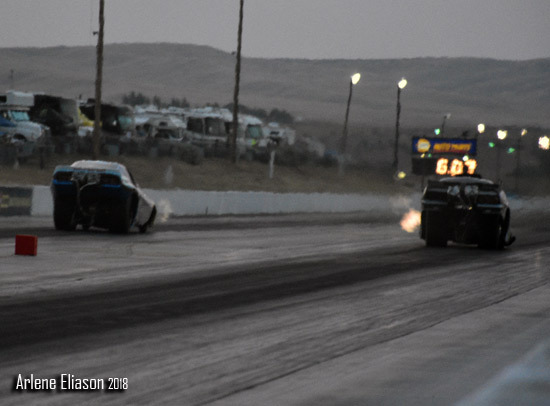 Giavia shut off to a 6.781 while Rice carded 6.834 which left both on the outside looking in. 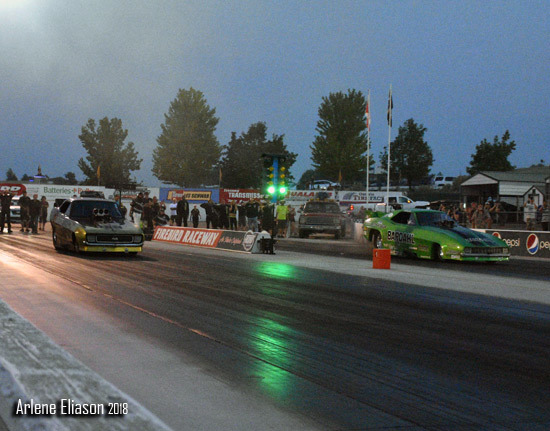 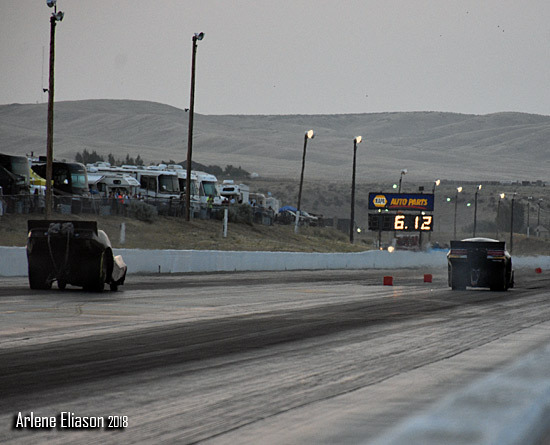 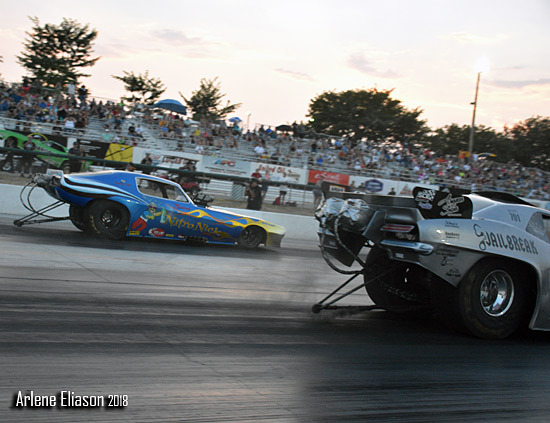 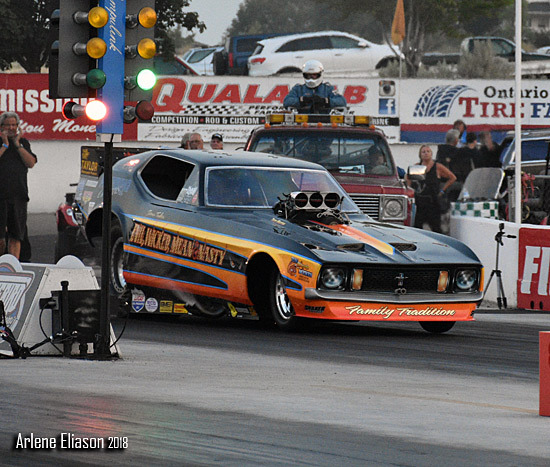 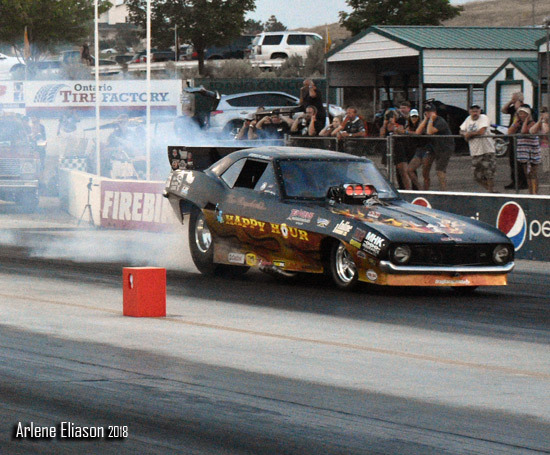 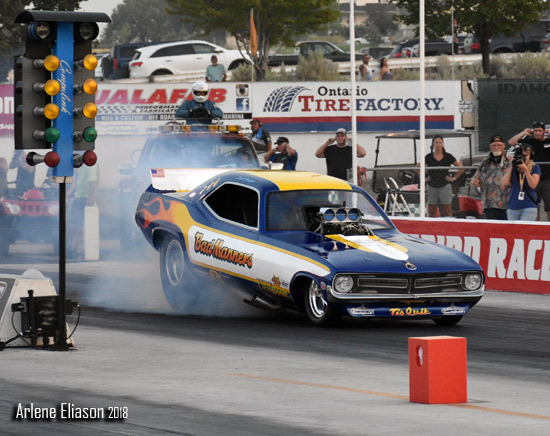 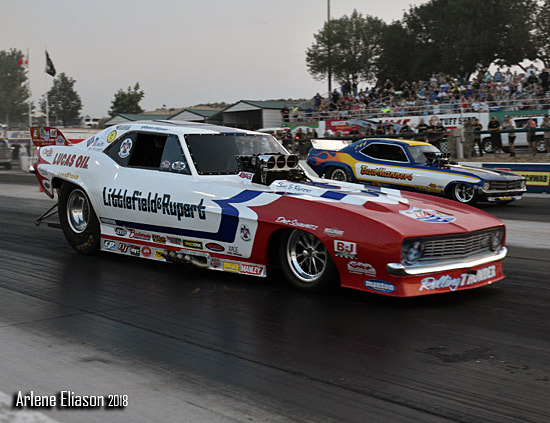 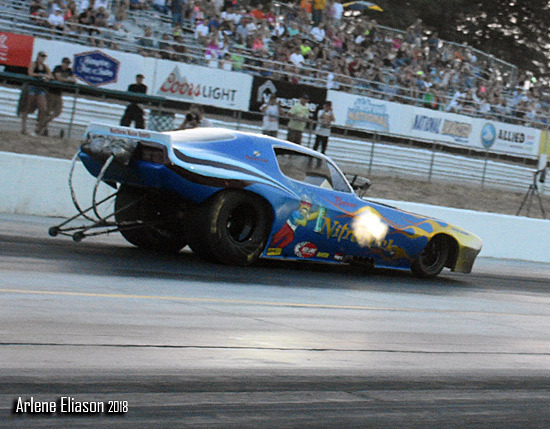 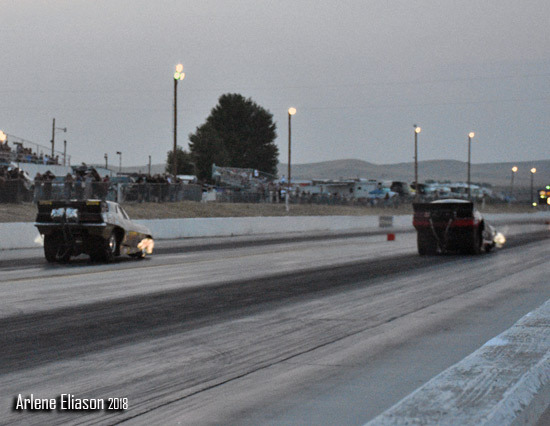 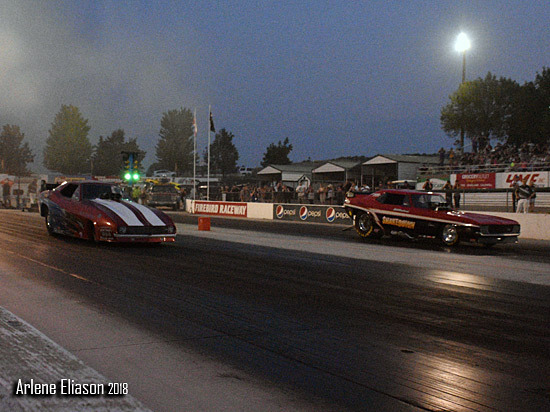 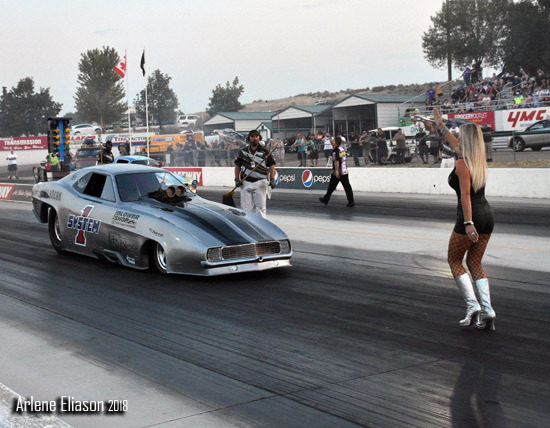 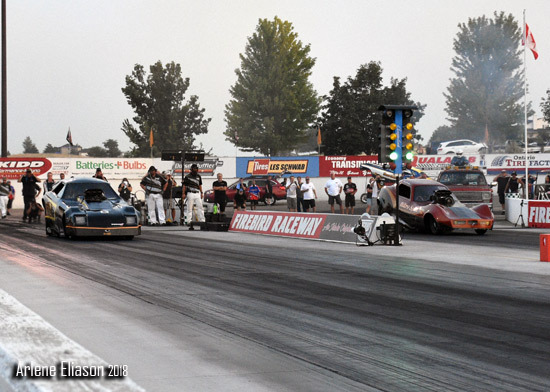 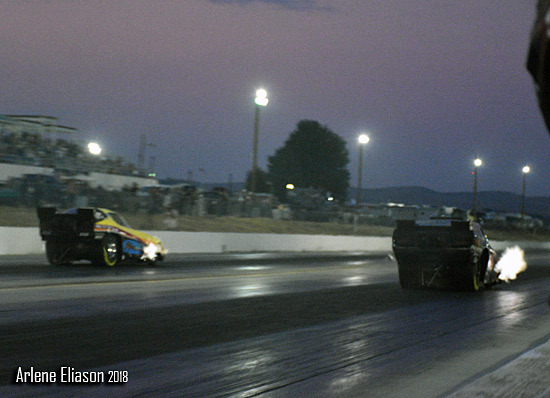 Pair two featured Scott Stanger in the Bad Manners '73 Cuda and Jason Rupert in the Littlefield & Rupert '69 Camaro. 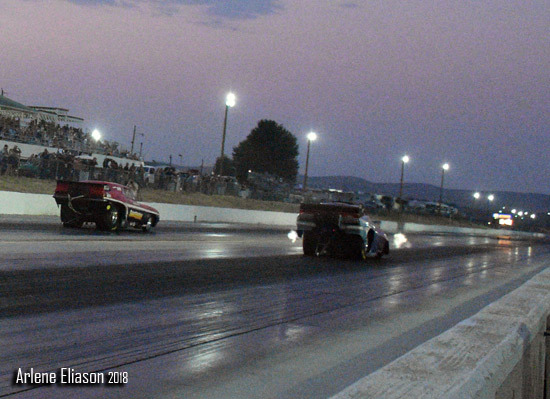 Stanger had nothing while Rupert went to #3 with a 5.76 at 254.38. 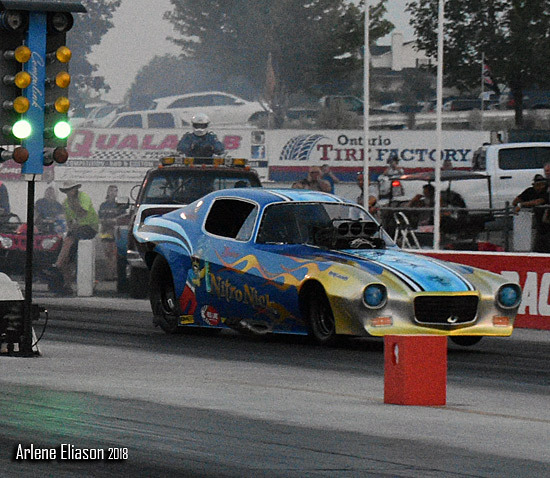 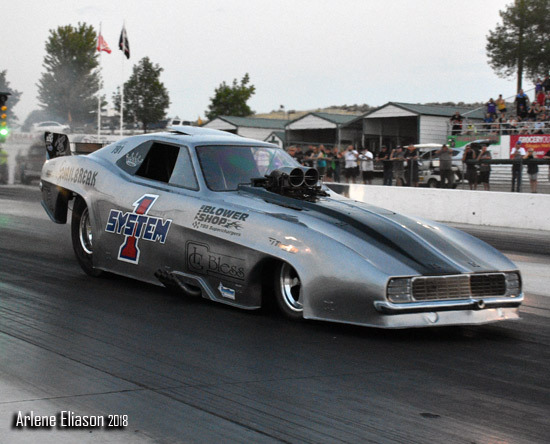 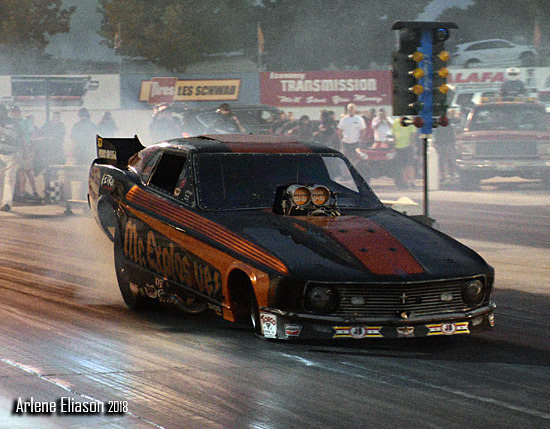 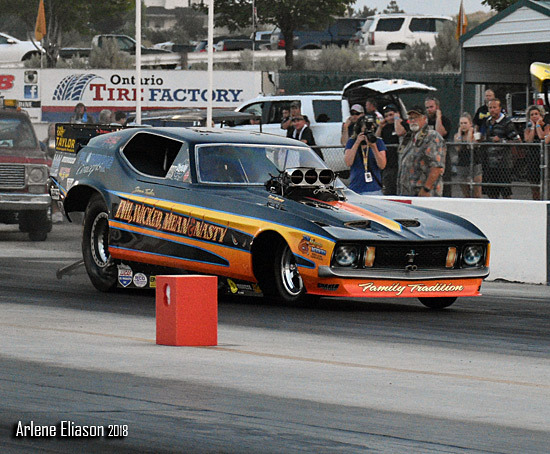 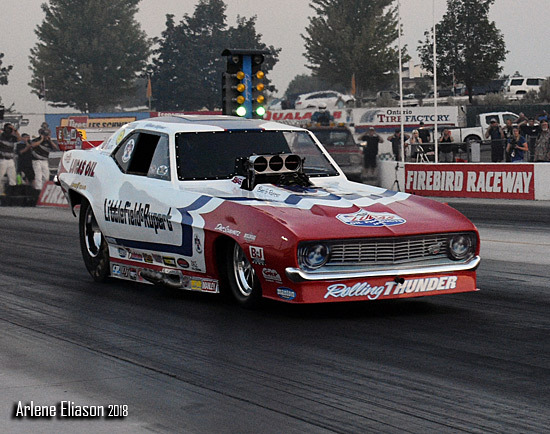 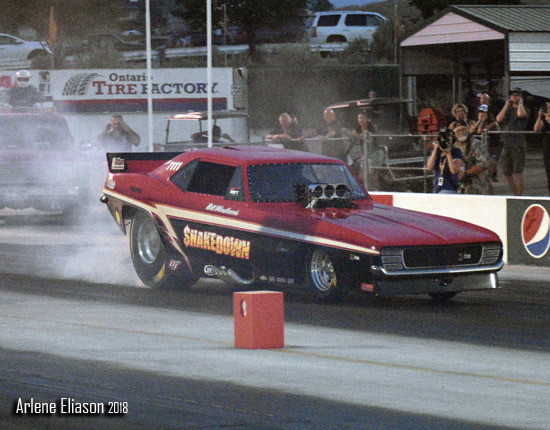 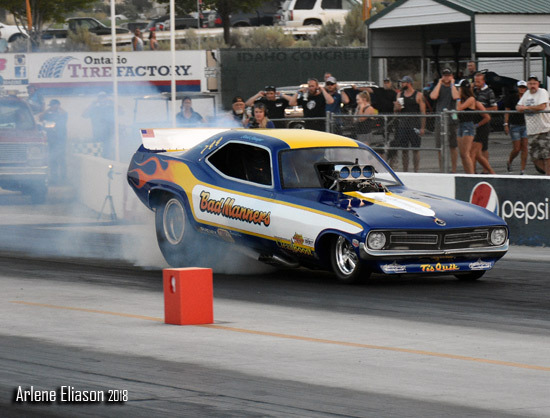 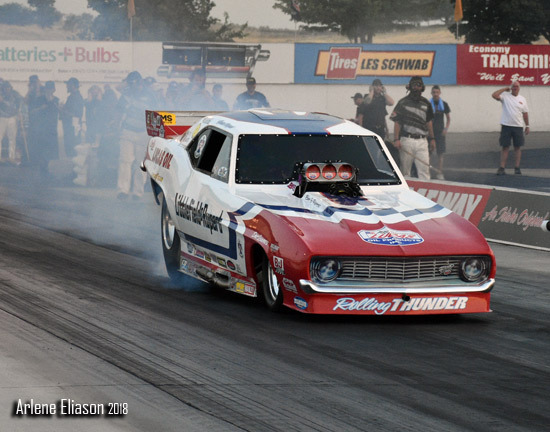 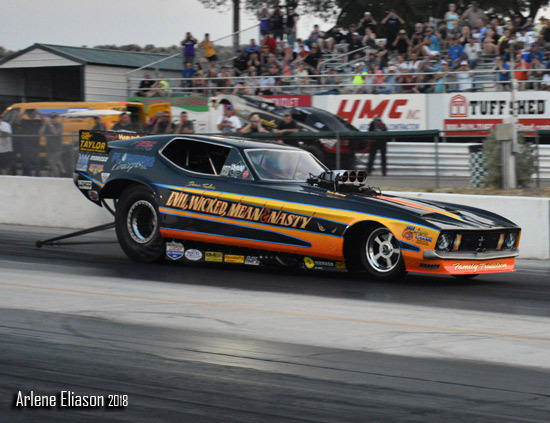 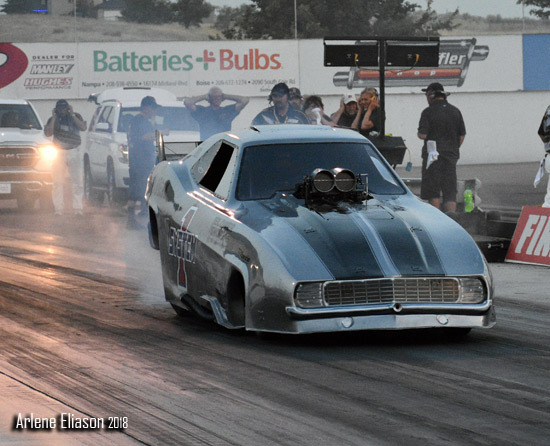 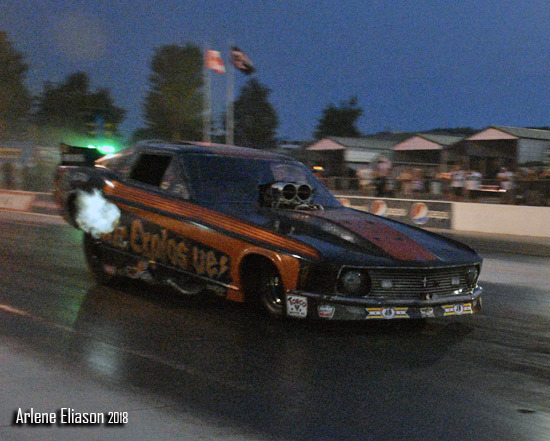 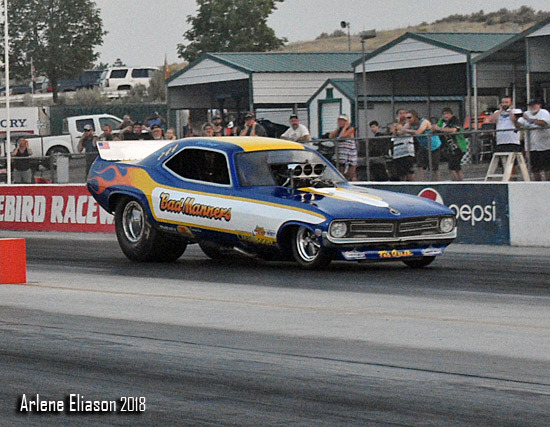 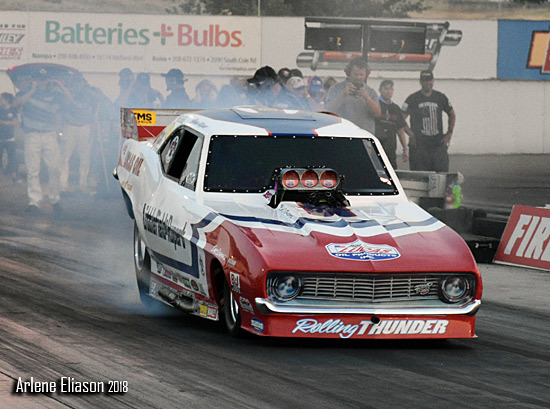 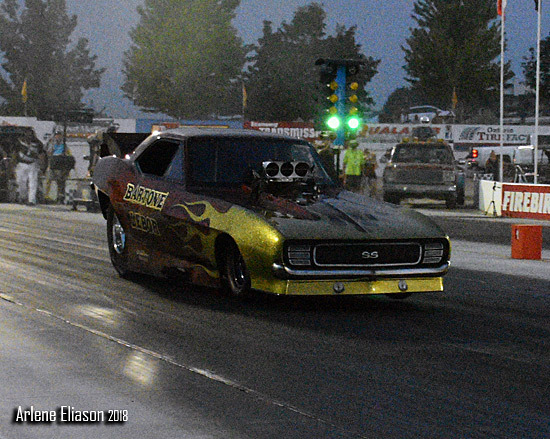 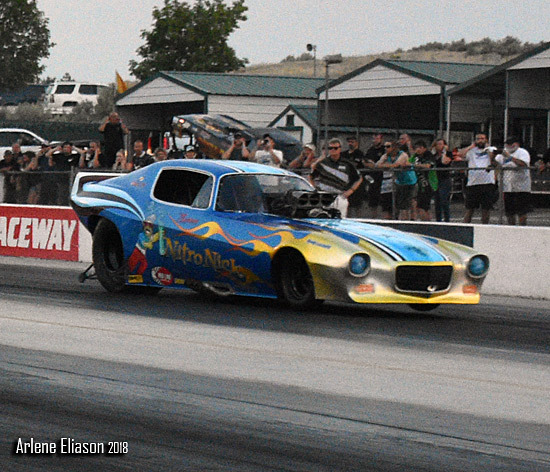 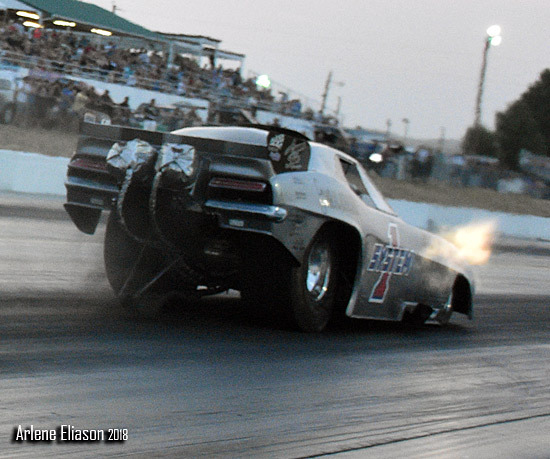 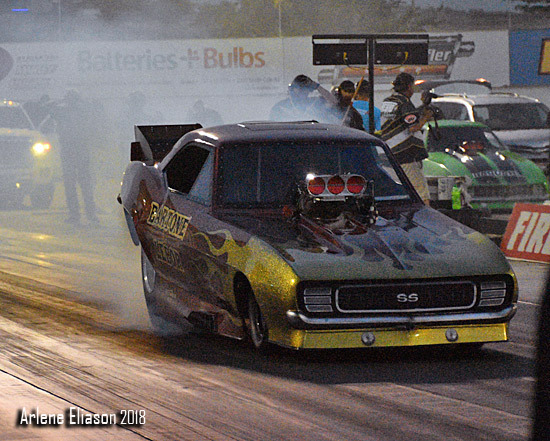 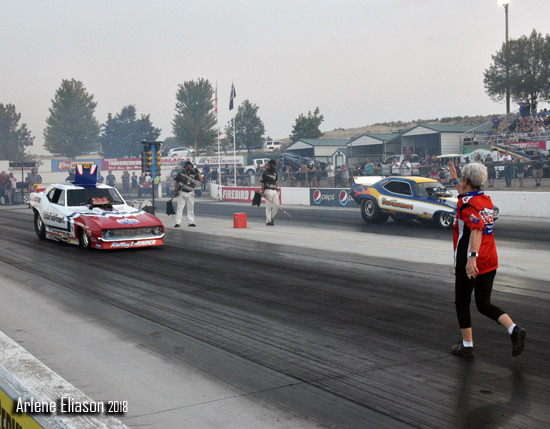 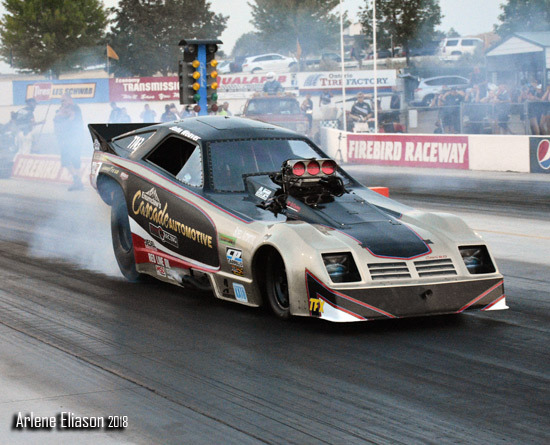 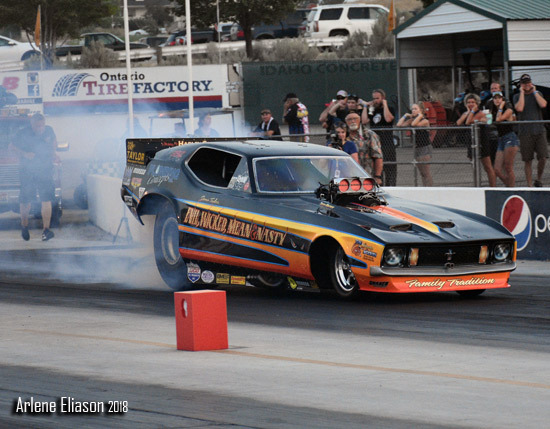 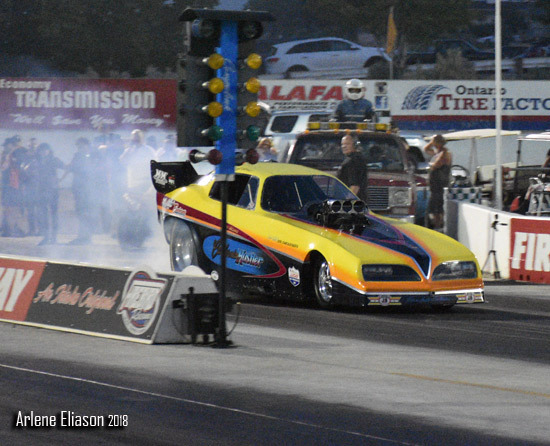 Next pair was Garth Widdison in the Utah Charger and Justin Taylor in the Evil-Wicked-Mean & Nasty '73 Mustang. 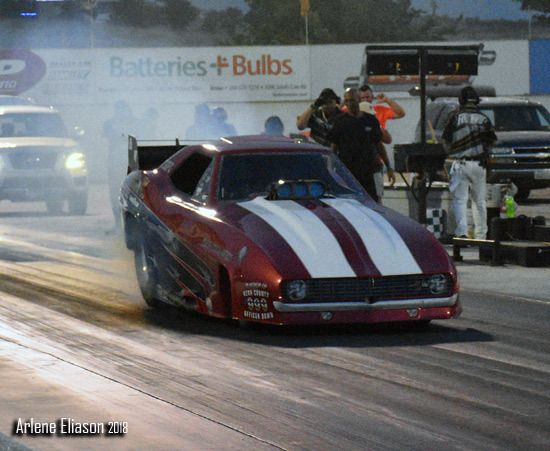 Taylor was done early coasting to a 7.027. 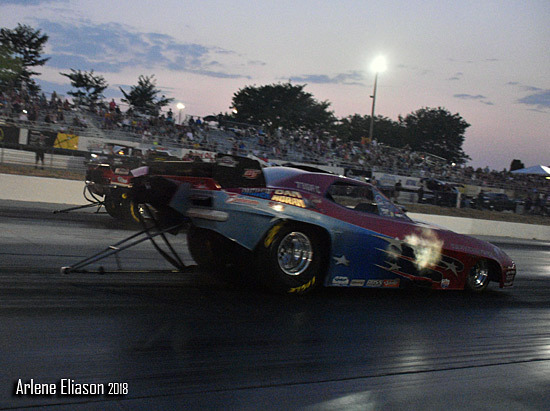 Matt Bynum in the Nitro Nick Camaro and Brad Thompson driving his Jail Break '69 Camaro. 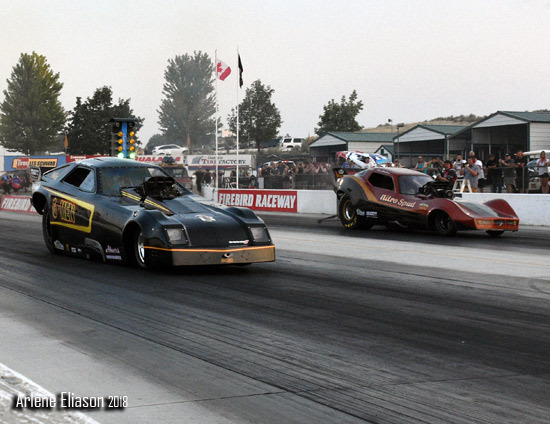 Another pair of classic vs aero bodies. 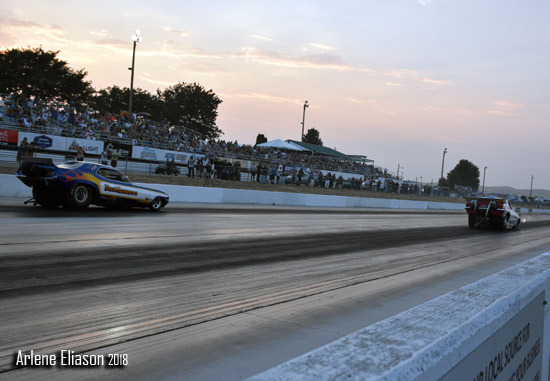 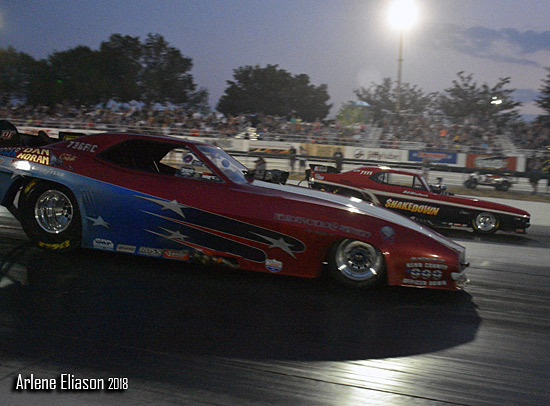 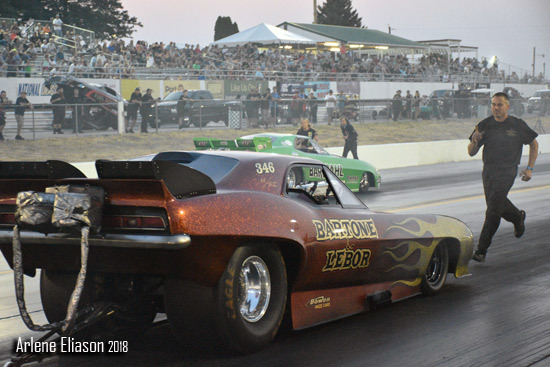 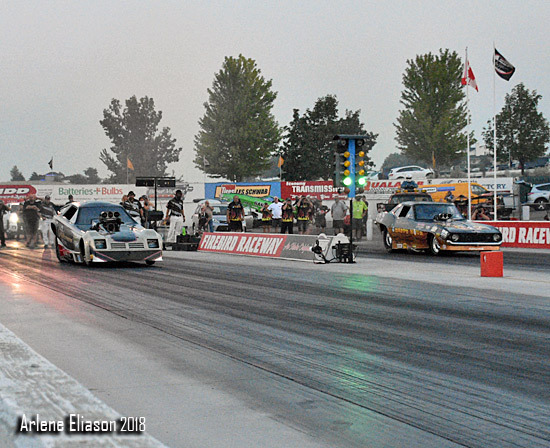 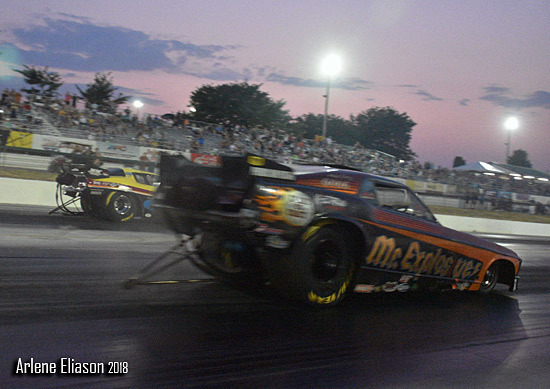 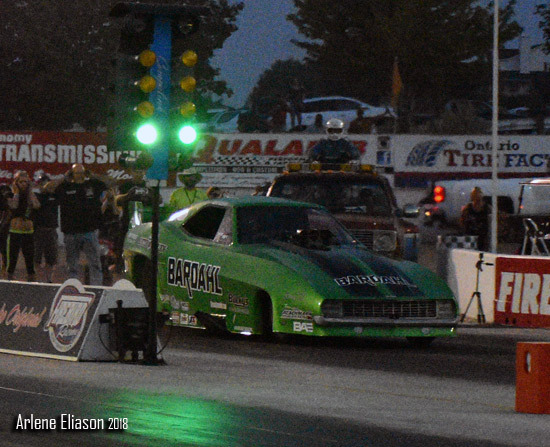 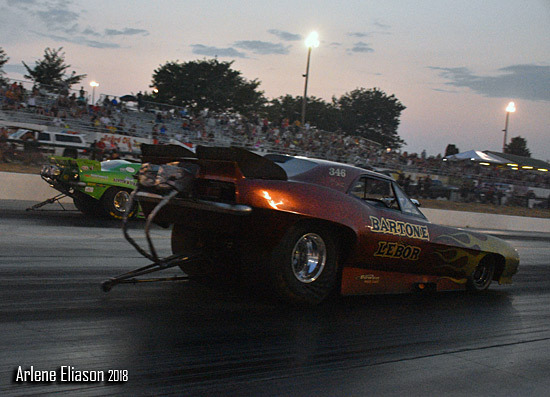 With the sun setting the next pair was John Weaver in the Cascade Automotive '78 Plymouth Arrow and Tim Boychuk in his Happy Hour '69 Camaro. 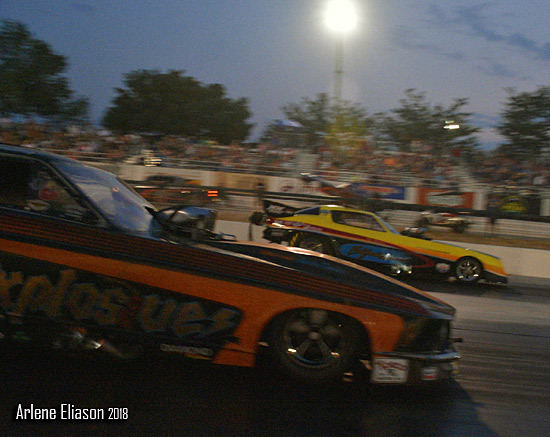 Next out Shawn Bowen in the Bartone & Lebor '69 Camaro and Bobby Cottrell in the Austin & O'Brien '69 Camaro. 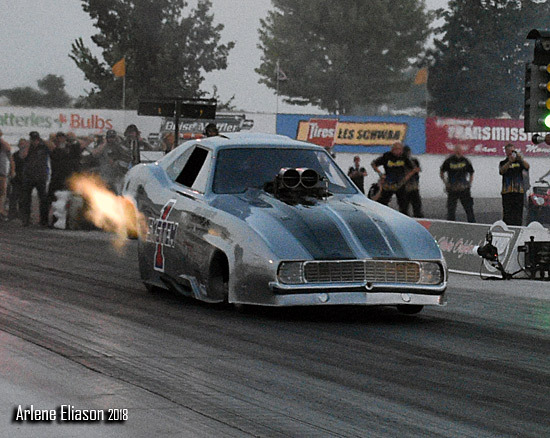 Classic body vs. ProMod body. 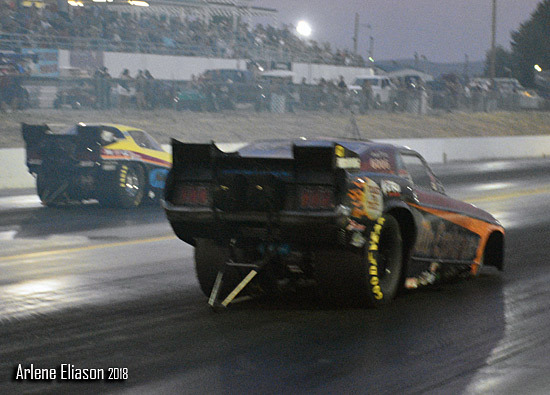 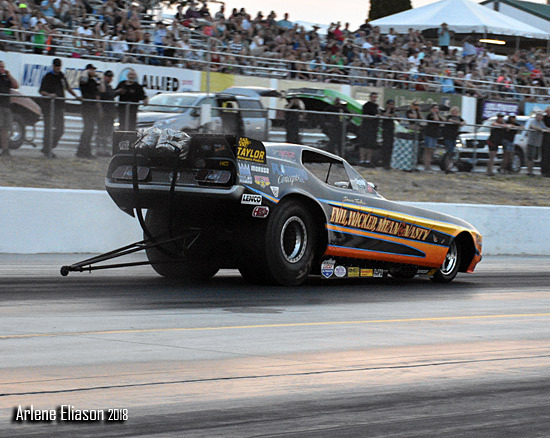 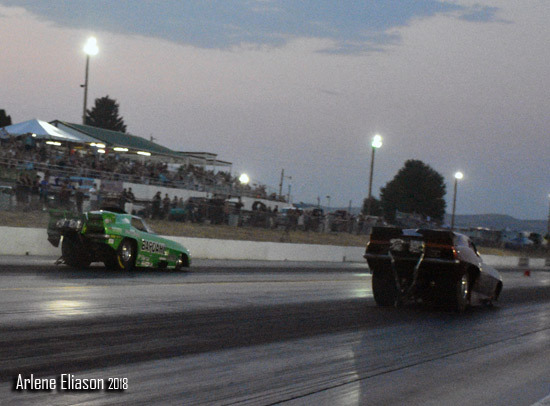 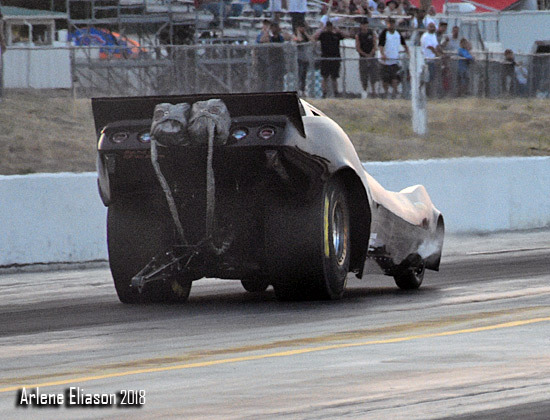 Cottrell went on to card a 5.863 at 239.95 while Bowen carded a 5.958 at 244.47. 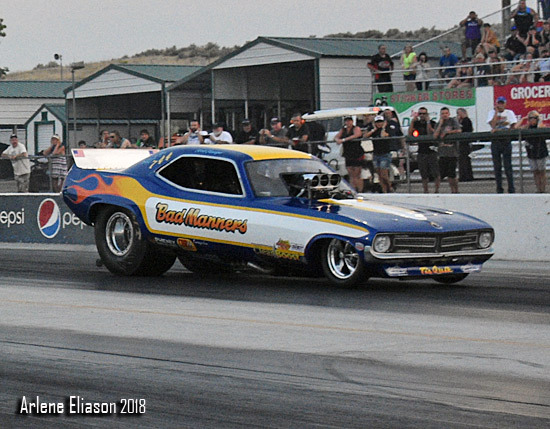 Next up was Dan Horan Jr. in his '69 Camaro and Bill Windham driving the Shakedown '69 Camaro. 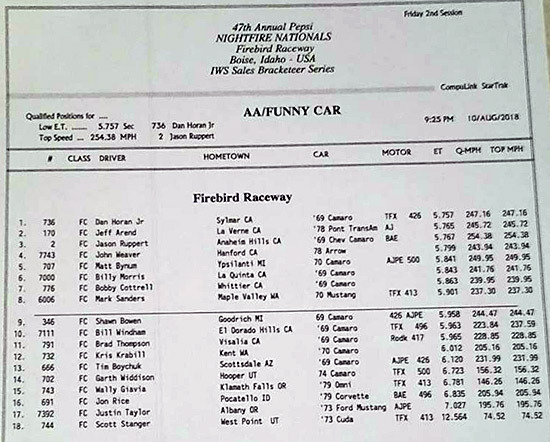 Once again the bodies are both listed as 1969 but the look is drastically different. 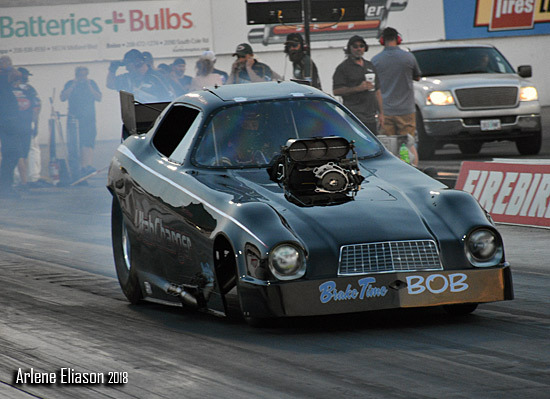 Personally, I by far prefer the classic look. 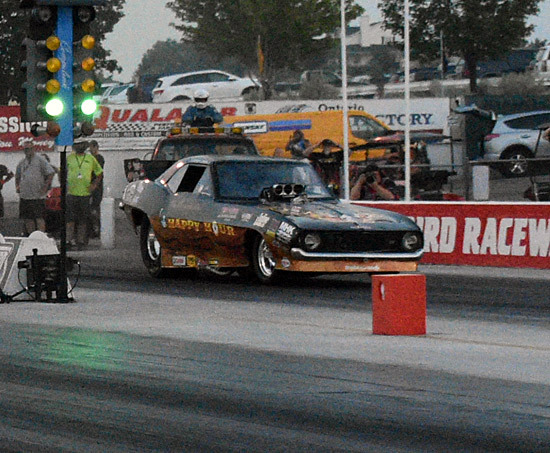 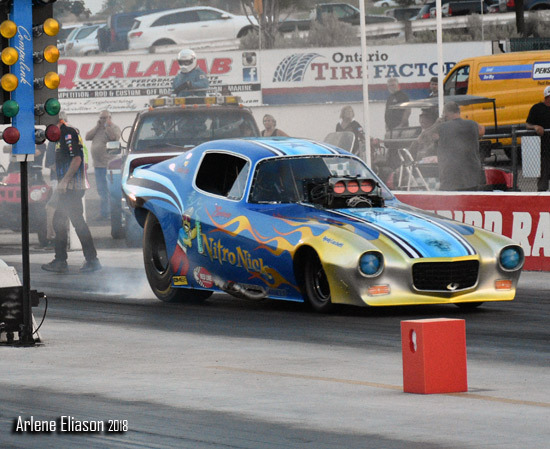 Horan went on to clock a 5.757 at 247.16 which was good for the provisional #1 spot. 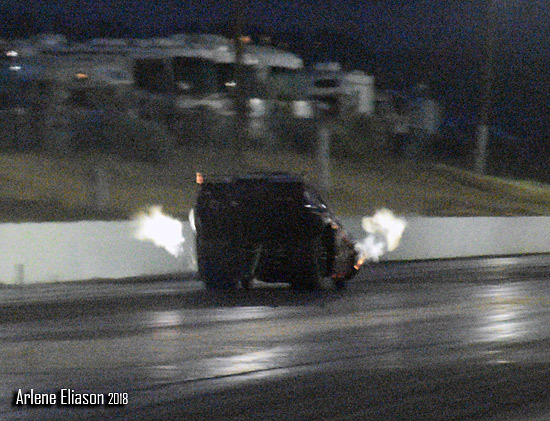 Windham shut off a little early to a 5.963 at 223.84. 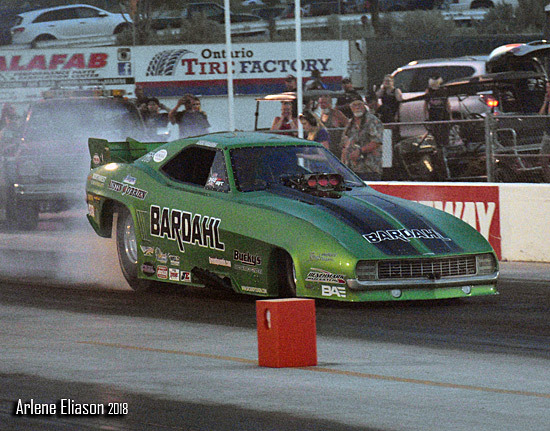 Next to last pair featured Jeff Arend in the California Hustler '78 Trans Am and Mark Sanders in his Mr. Explosive '70 Mustang. 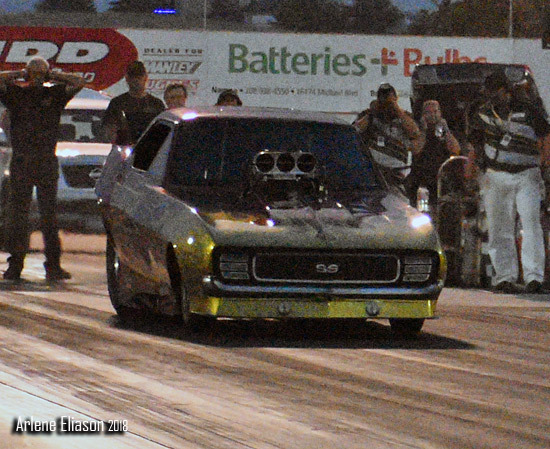 Arend carded a stout 5.765 at 245.72 planting him in the #2 spot. 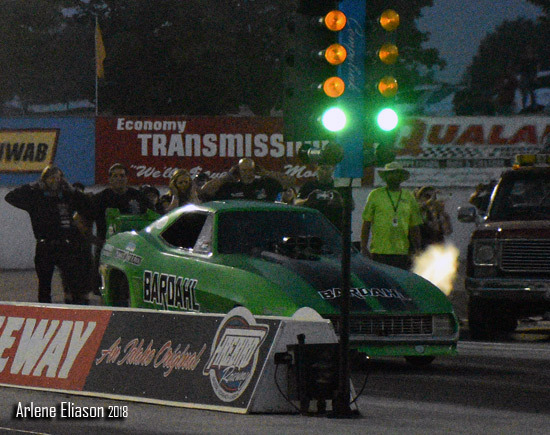 Sanders collected a 5.901 at 237.50 time slip good for #8. 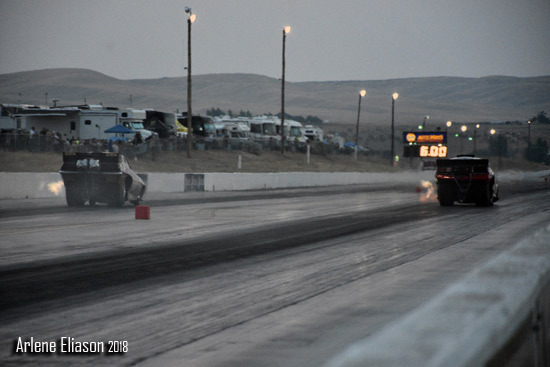 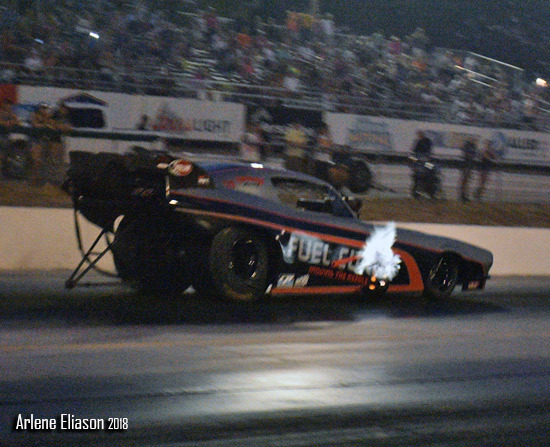 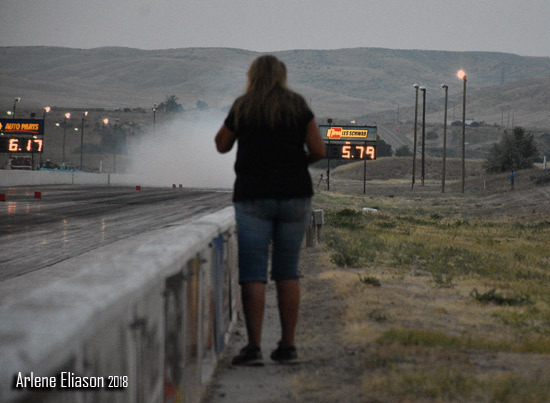 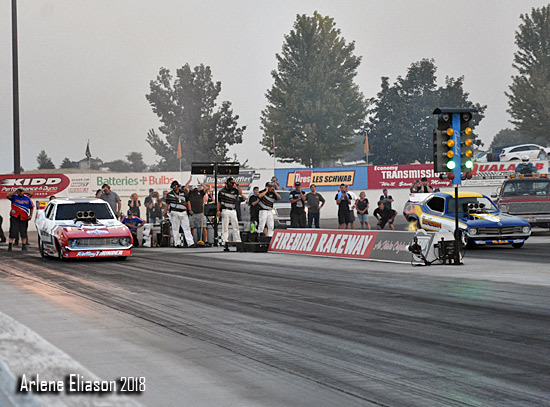 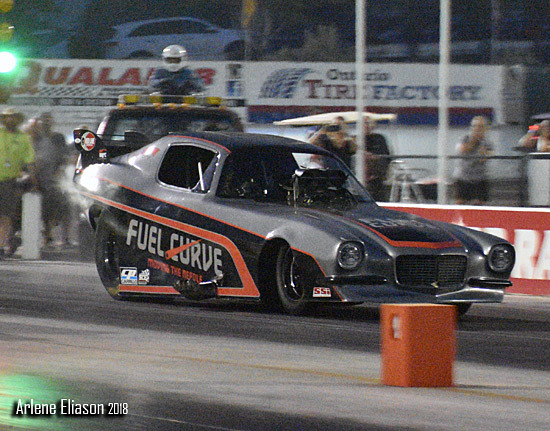 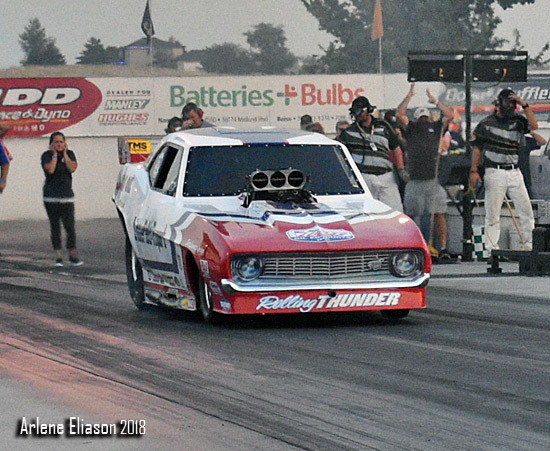 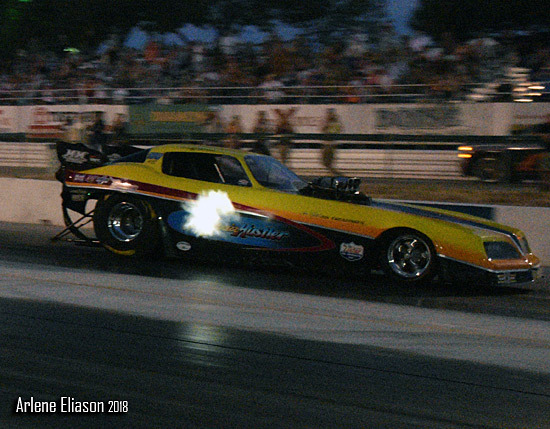 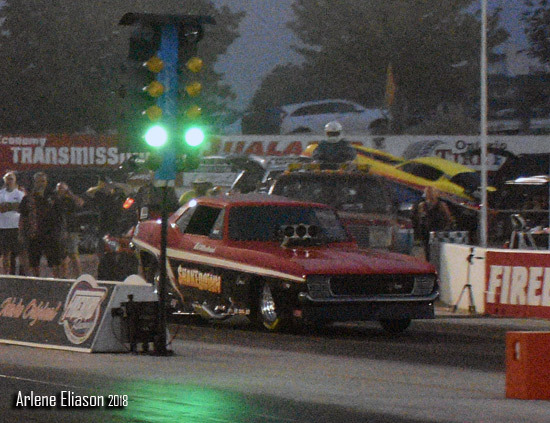 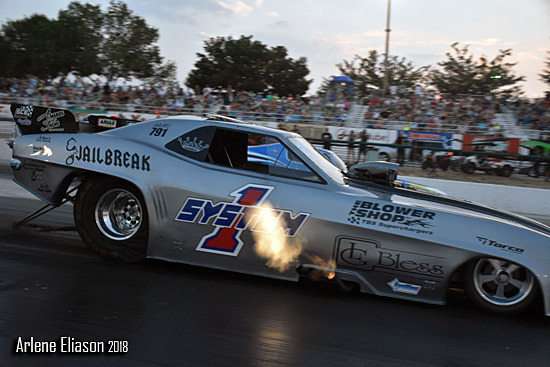 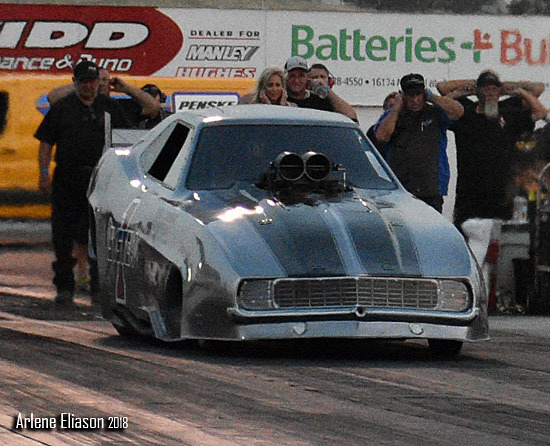 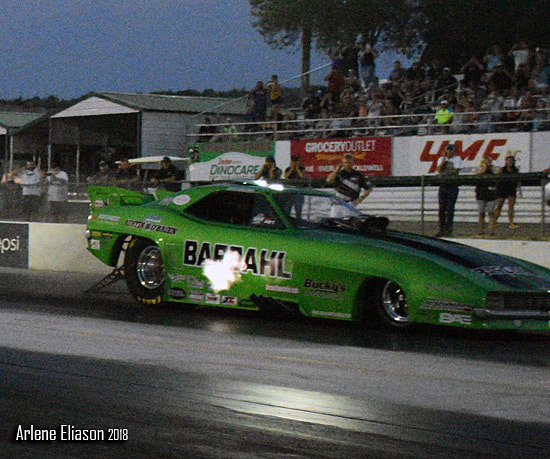 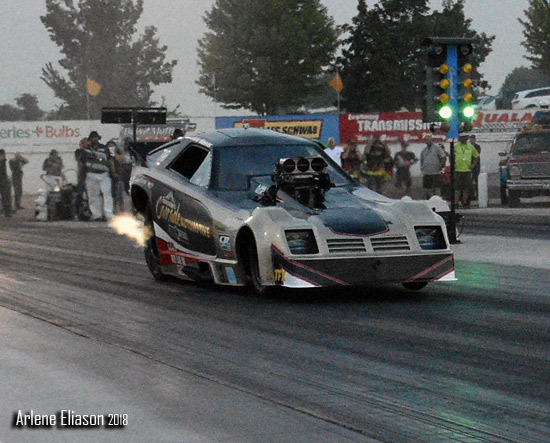 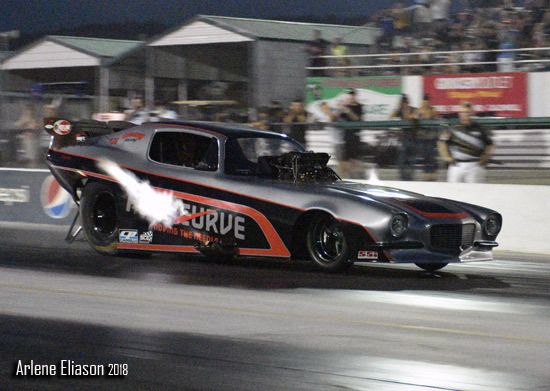 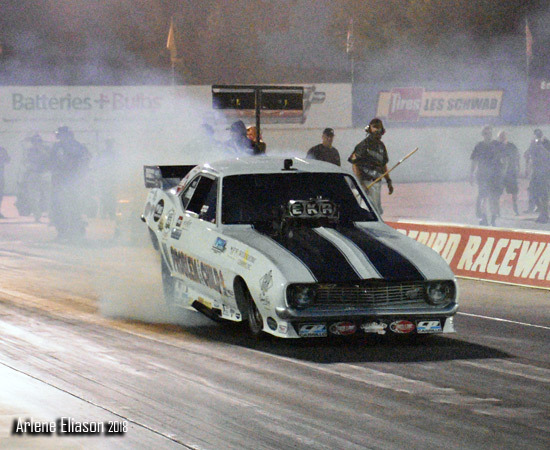 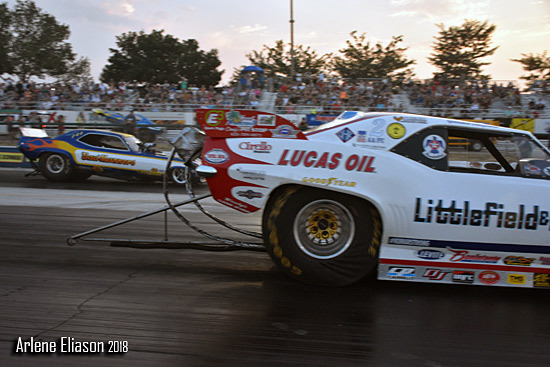 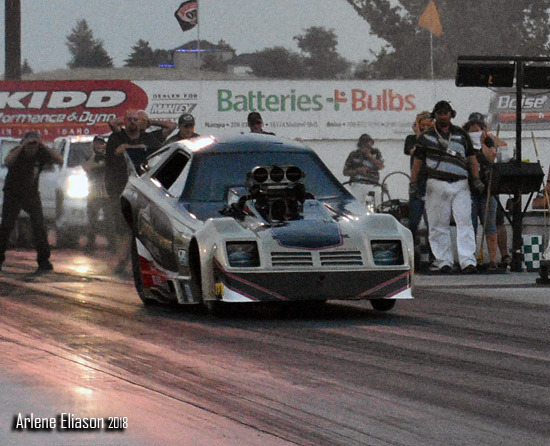 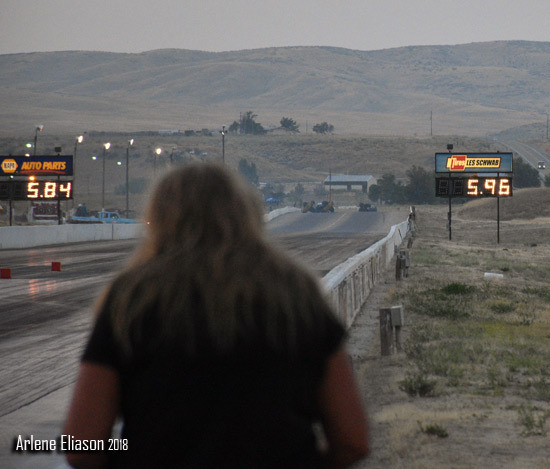 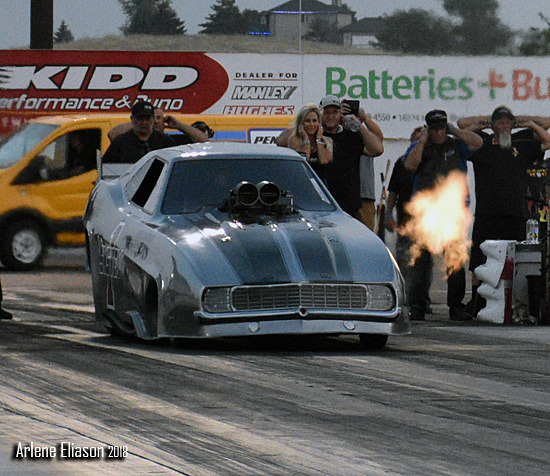 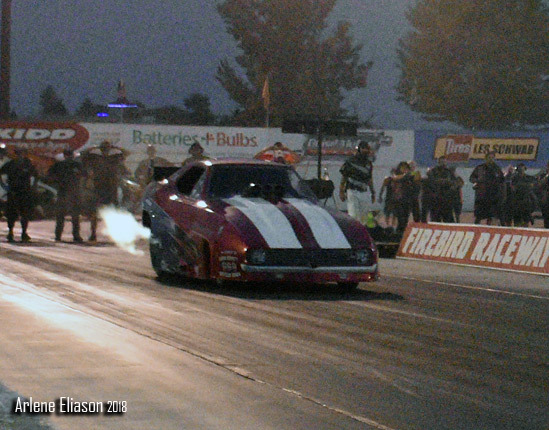 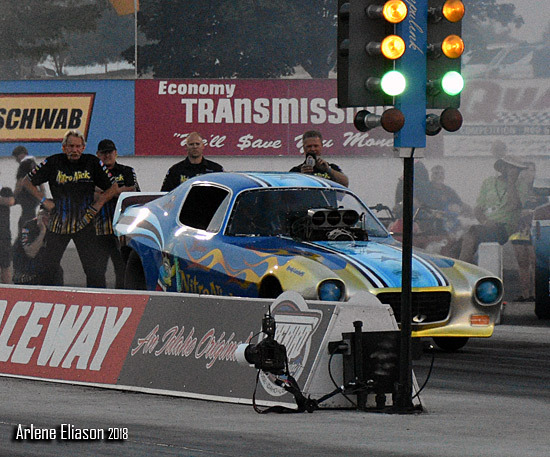 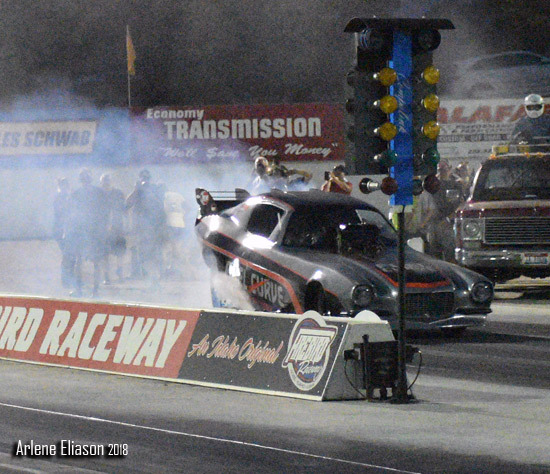 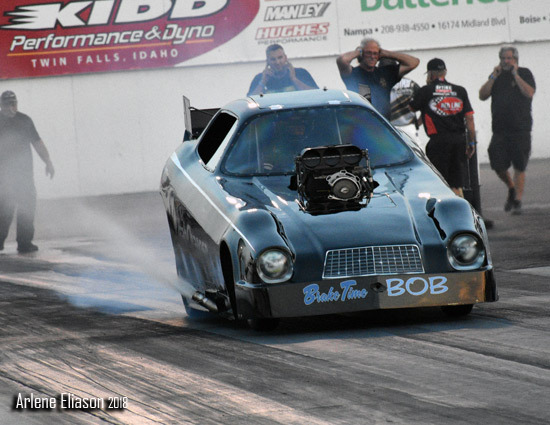 The final pair for Friday night was Kris Krabill in the Fuel Curve '70 Camaro and a white Mustang that was shut off after the burnout. 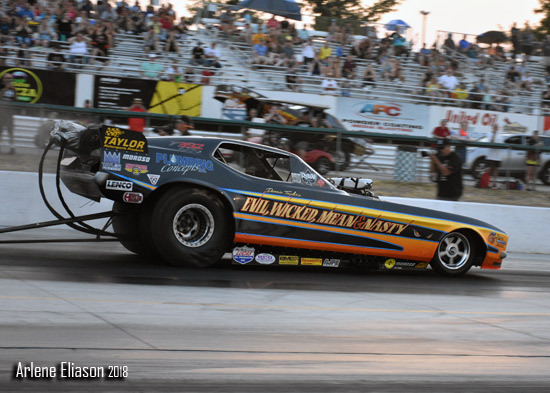 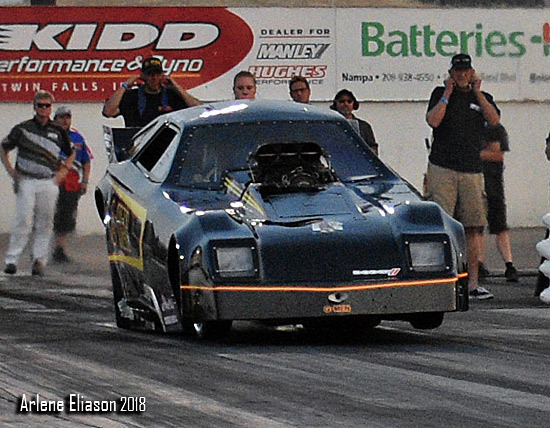 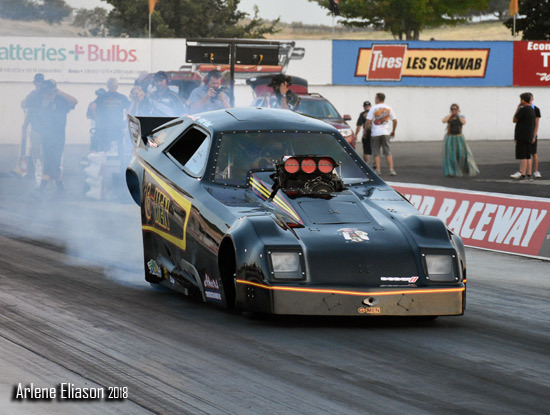 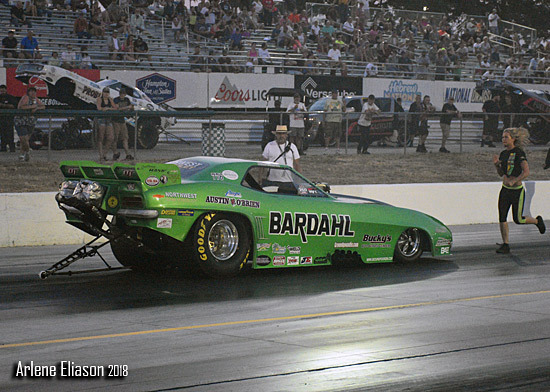 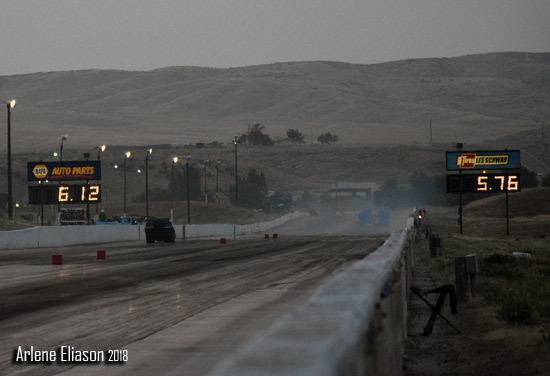 After his wild maiden run in the car in Q1, Krabill just made sure it was going from A to B without issues clicking it early to a 6.012 at 205.16.